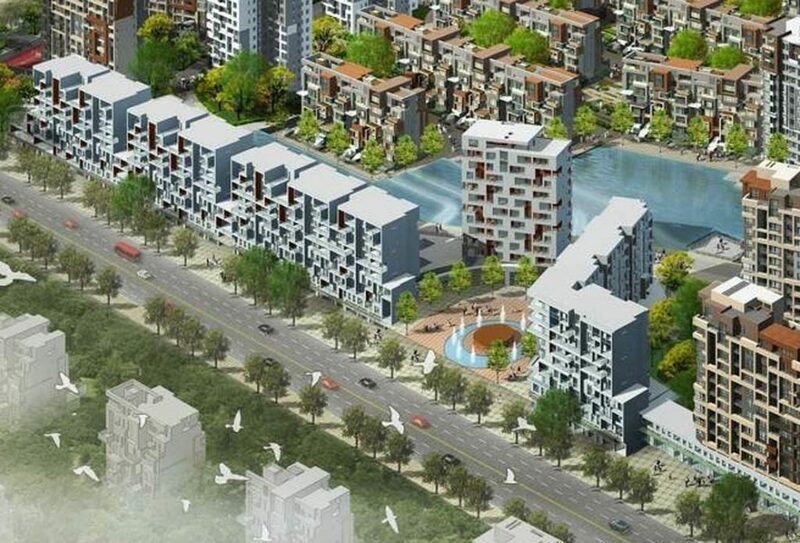 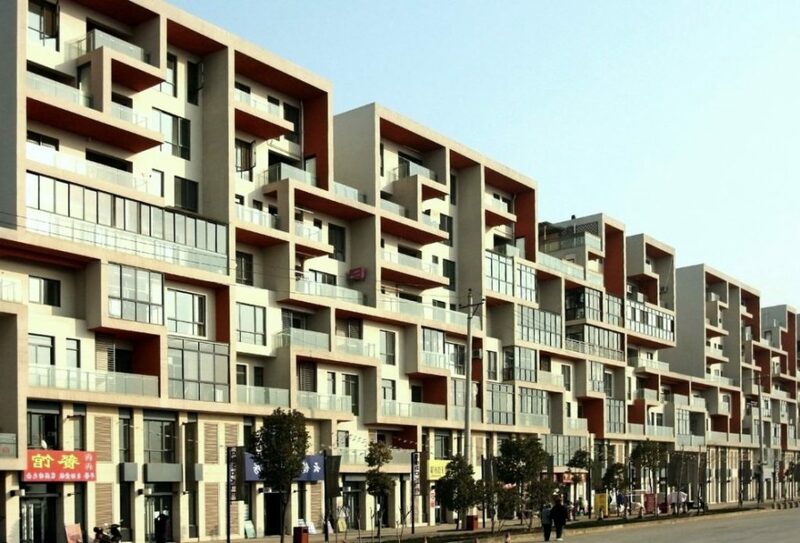 Three residential buildings in a strictly modern appearance create the main entrance of a large residential compound, the third construction stage of Jindi Wuhan’s residential project called “Green Sky”. 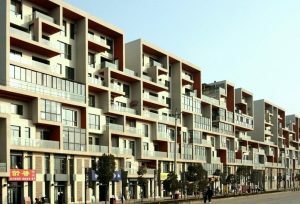 Two slab-type buildings as the Southern border of the community, 9 levels high, form a kind of European-style Boulevard, with shopping facilities in the first two levels. 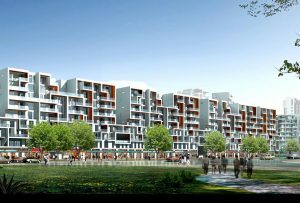 The endpoint of the longest building accommodates the community club, restaurants, conference rooms and entertainment facilities. 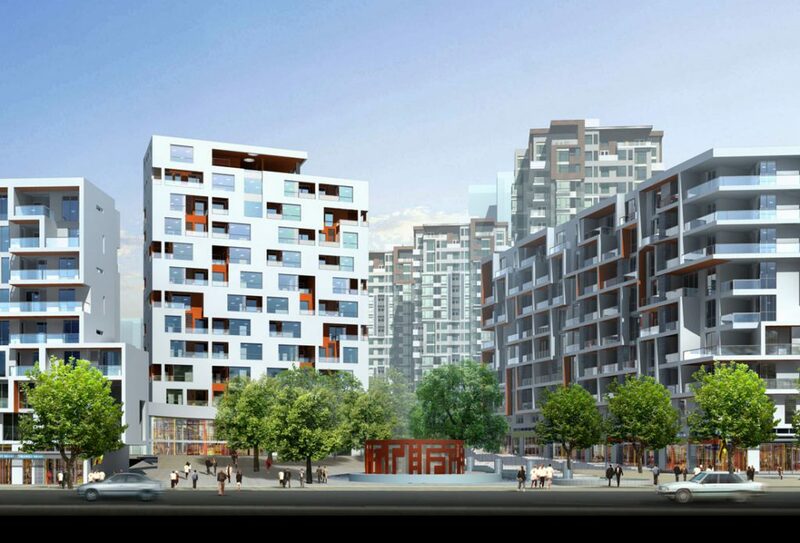 Jindi Group (Wuhan) Real Estate Development Co., Ltd.
Continue reading "Wuhan ‘Green Sky’"
In prominent location, a solitaire high-rise building, 12 levels high, marks the community entrance. 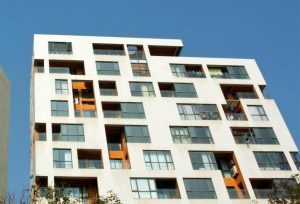 It is located on the highest point of a sloped public, entrance plaza with a special water feature and a circular-shaped café. 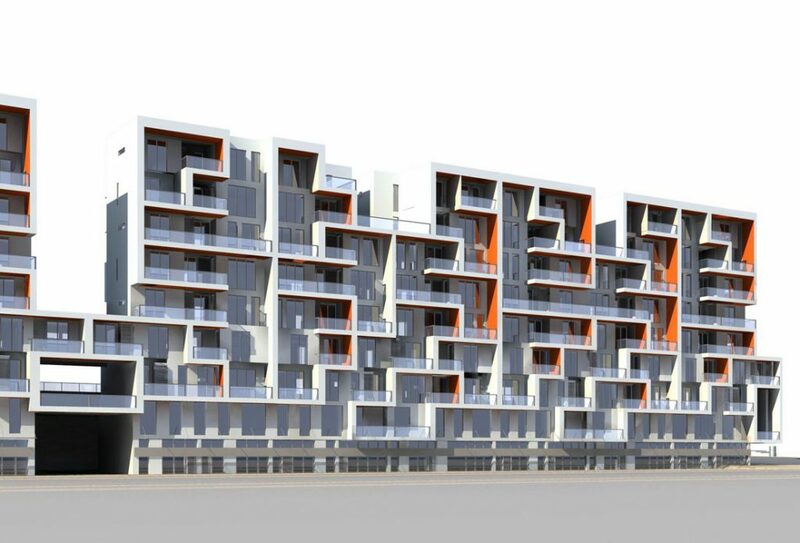 The apartments offer a rich variety of different floor plans; a big part of them are 2 levels duplex flats. The main living rooms are south-oriented and are facing the boulevard. 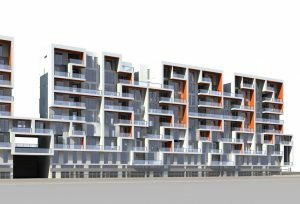 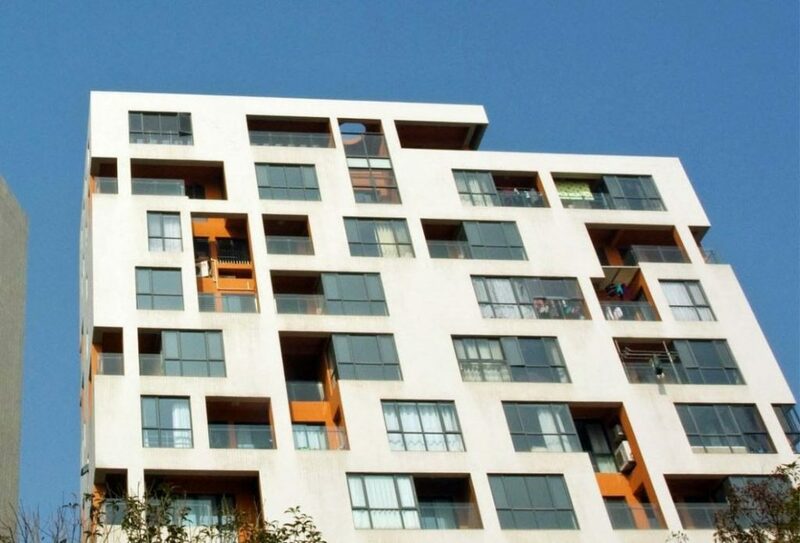 Colourful painted balconies and shear-walls provide privacy and structure the facade. 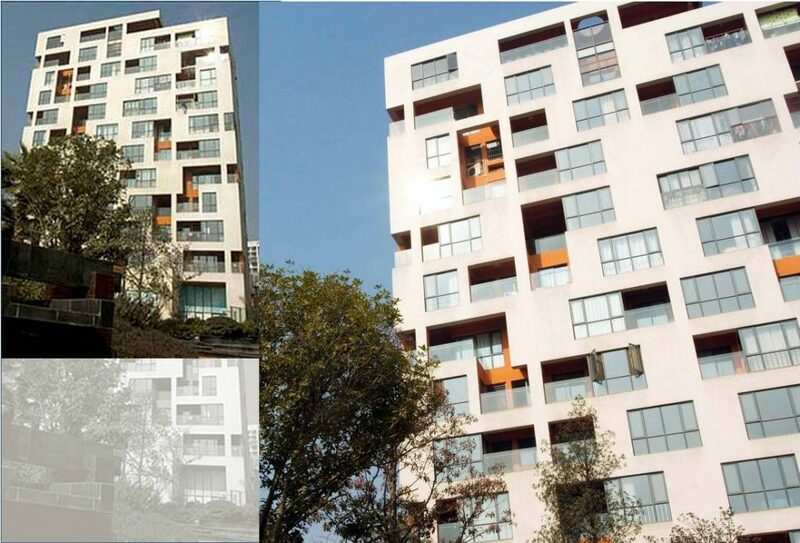 The facades reflect the interior organization and give a vivid image of the richness of functions and living styles. 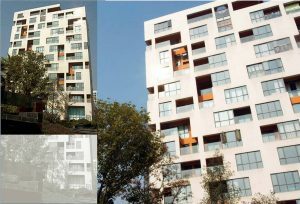 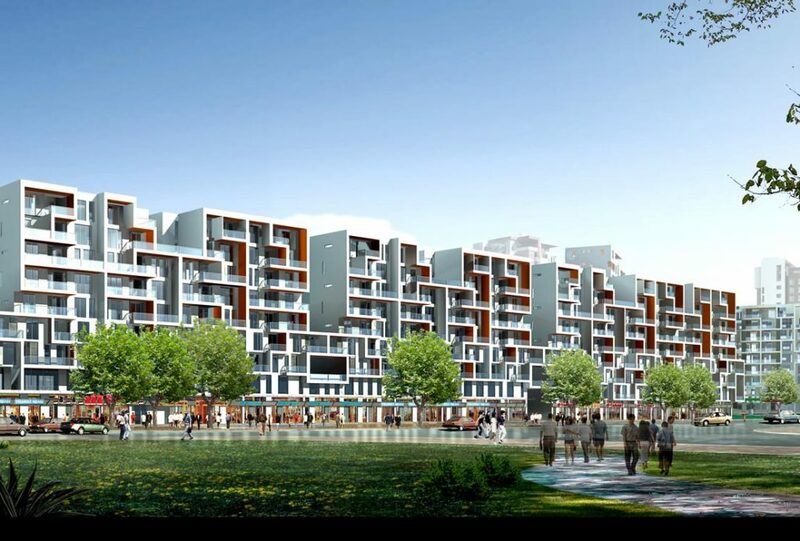 Size and individual layout of each apartment can immediately be seen from outside. 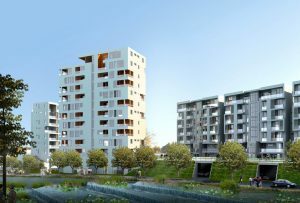 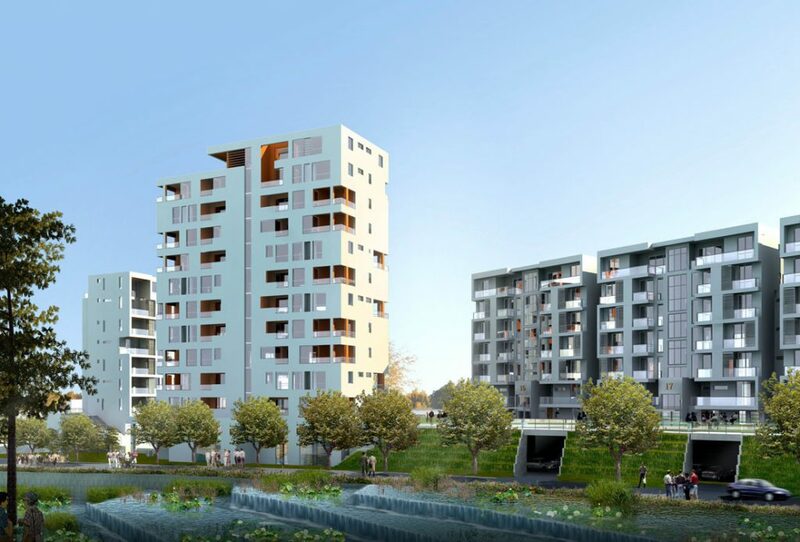 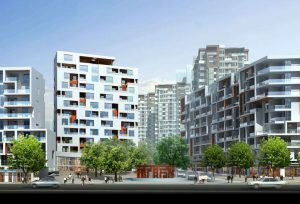 The developer will use RhineScheme’s design with its European approach as a new brand in their residential ‘product line’.